Hall and Slonka take a practical approach addressing why and how questions throughout the text. The first two chapters lay the foundation of computer language and computer architecture. 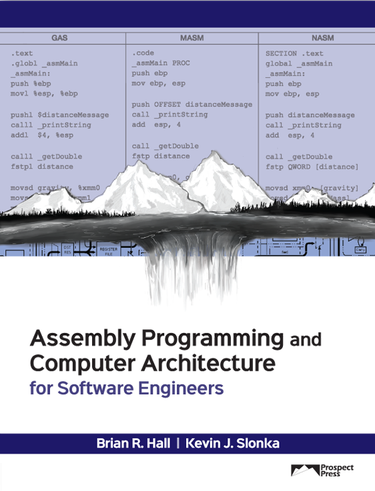 Then, subsequent chapters use assembly programming as the mechanism for gaining a better understanding of computer architecture and software development. The book supports learning on any OS platform Mac, Windows, and Linux by providing programming examples for the three most common assemblers in parallel: GAS, MASM, and NASM. The book is based on the x86/x86_64 architecture and also provides a chapter on other common ISAs such as ARM, AVR, RISC-V, and z/Architecture.